Was using Thesis Framework for almost 3 years and the move from Thesis to Genesis was not easy but there were no major reason for me to be continue using Thesis and 9 reasons to move to Genesis. 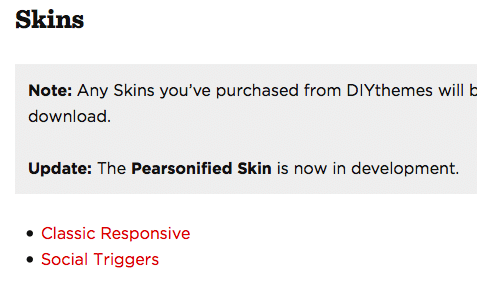 I purchased DIYThemes’ Thesis WordPress Framework in 2010 and as far as I remember it was then when I saw a message about Thesis 2.0 coming soon. Cannot say for sure but nevertheless I always wanted to use Thesis for my blogs as it was being used by almost every blogger that I followed then and I wanted to use Thesis on both my blogs, I opted for Developer Version of Thesis. 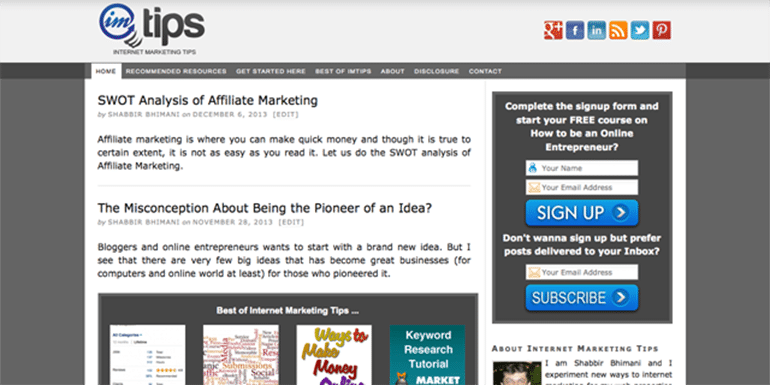 Not only I used Thesis on all my blogs but I also recommended it on IMTips as well as to my clients and friends. And in September-ish 2012 (as far as I remember) Thesis 2.0 was out and I wanted to be moving to Thesis 2.0 as soon as I could. Just to give you a hint – It literally took me hours to understand how to add a logo to the theme. There was very little to no documentation available to help me either. This was on the back up of me using Thesis for my blogs as well as developing on Thesis 1.8.x for almost 2 years for my requirements as well as for my clients. After few hours of Thesis 2.0 experience my verdict was not to move any site to Thesis 2.0 but wait for future releases of Thesis as well as wait for some more documentations before taking any decision. Being a developer I know that a product may need 2 to 3 release cycles for it to become stable and after almost a year i.e. in October 2013 when I did not see things moving in the direction I wanted for Thesis, I finally decided that enough is enough and its time to move on with Thesis theme. So I had couple of option to choose from. Option 1 was to opt for a custom WordPress theme from the ground up but then it would also mean I have to be doing every bits an pieces of the design aspect of it and being a developer, it always horrifies me and so immediately this option was discarded. So now I wanted to opt for a framework where most part of the WordPress theme is taken care of and I can focus on making the changes that I want for my blog. Genesis was the obvious choice. So once I decided to make a move from Thesis to Genesis, I was trying to make myself doubly sure that Genesis do not end up the Thesis roadmap and so following points help me gain in confidence with Genesis. Thesis 1.8.x to Thesis 2.0 move is not seamless and anything that have designed or developed in Thesis 1.8.x has to be scraped and redone for the latest version. So the old design had to be redone in the Thesis 2.0 and Genesis as well. Thesis had no advantage. Thesis does not have any marketplace to buy third party themes, add-ons or plugins for the framework but studiopress (aka Genesis) has very active marketplace with hundreds of themes and plugins built on Genesis framework. Thesis just provides one extra theme similar to Social Triggers. Note: I prefer customized theme for my blogs and rarely use the theme or framework out of the box but then I prefer slight modification and not too much modified version. You can see that when converting the Thesis version of IMTips to Genesis where I adopted most of what Genesis offers out of the box and yet provide a personal touch to it. Framework should be adaptable to popular plugins which earlier thesis used to be. If I remember correctly Thesis had front-end support for menus even before WordPress had menus but then they could not just keep up with the pace. The current thesis does not support even the rich snippets like Google+ Authorship / rel=”author” / breadcrumbs where as Genesis framework is really making the move to remain ahead for support of latest popular plugins as well as recent development in SEO. I was using Breadcrumb plugin on Thesis but when testing things for Genesis, found that Genesis was not using their Breadcrumbs when activated but the plugins’ breadcrumb. Was keen on how they do this and found the following code. They have an eye on popular plugins and support for those plugins are being added into the core of the framework. I really liked Thesis Killer Recent Entries but that was it. Thesis 2.0 had almost nothing extra to my liking but Genesis comes with lot more than what Thesis offers. Genesis Featured Posts is a great substitute for Thesis Killer Recent Entries Widgets. On top of that Thesis only comes with couple of sidebars widget area and Genesis six of them. 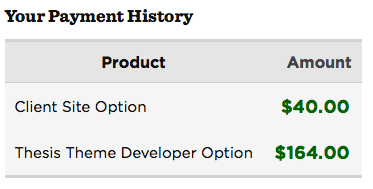 Genesis Framework costs $59.95 for unlimited sites but similar unlimited domain license of Thesis costs $197 and not sure why such a skewed price because there is no value addition from the basic version of the theme and 12 months of free theme upgrades does not hold any value when you have a theme that was not being developed for almost 3 years. I have used Thesis for couple of years now and so I know almost all the frill that Thesis provided that Genesis lags. It will be awesome to have them in Genesis. In the process of this comparison, I found some interesting frills in Genesis as well. * Thesis used to be the best SEO theme in town but has lagged to keep up with SEO and Google updates for last few years. ** Thesis 1.8.x could have moved to a child theme support and that would have been more meaningful than Thesis 2.0. *** You have to upload logo image and favicon via FTP. **** Thesis and genesis both provide the introductory paragraph for category pages but Genesis also allows you to choose a different layout for your category pages and so is a winner here. If you have a great product don’t take it for granted. It needs to be constantly evolving and developed over time. Nothing is time tested and will work for ages. There is tons of history, which we can refer to on this and Thesis was no difference. Hi5 / MySpace / Digg are some of the recent examples of great social networking sites which we hardly remember now. Google has been dominating the market for quite sometime because they have their core product i.e. search constantly being updated. Webmasters keep complaining about the Panda’s and Penguin’s but that makes Google what it is. Better search results for their users. So if you have been building a product for your audience, its time to constantly working on it to make it better for them. You may have a great product and your future releases according to you may be even greater but make sure you have your target audience in mind when developing things further. Thesis 1.8.X was all hooks based code that needed to be added into custom_functions.php and custom.css file which sounded was more for a developer fraternity. Thesis brainstorming session may have thought that next big thing could be if everything can be designed with just few drags and drops. Looks promising as a brainstorming idea but is it the right thing for your target audience. Non technical bloggers hire technical freelancers from site like Elance to get their website designed. So a framework should not be for those non-technical webmasters who anyway would be hiring technical experts for designing their website but those web designers who will use and recommend Thesis theme for their clients. Thesis changed a target audience of web designer group to non-technical webmasters who anyway prefer hiring an expert to get the theme designed for them. So drag and drop based design in WordPress theme sounds good but does not have any target audience. If you are thinking about moving from Thesis 1.8.x to Thesis 2.0, I am damn sure this article will help you decide but if you want to be moving from Thesis to Genesis framework, you can always get in touch with me and I will be more than happy to help you do the move seamlessly. Moving your existing SEO Data from Thesis to Genesis is just few clicks with SEO Data Transporter Plugin. 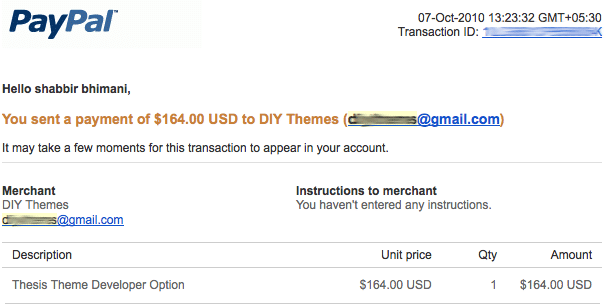 If you want to buy Genesis Framework, you can use my affiliate link. If you see any issues with the new design, please do report them to me and I will be more than happy to rectify it. I moved mine from Thesis to Genesis a month ago and my site feels a lot lighter and faster since then.